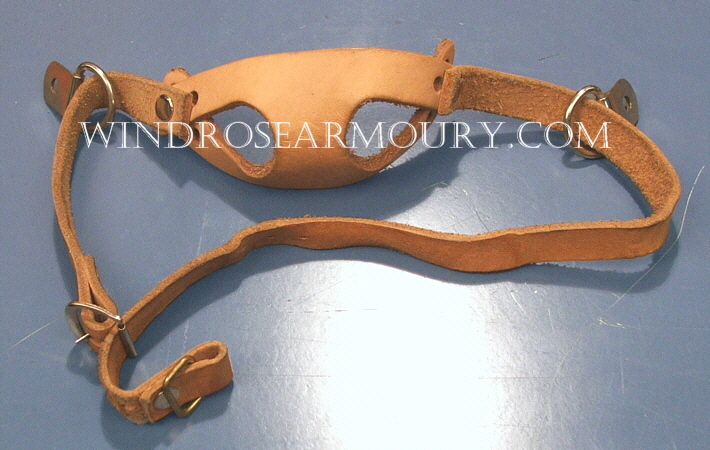 MTO Riveted Bascinet [MTO Bascinet] - $400.00 : Windrose Armoury, We Bring History To Life! The Bascinet, most commonly seen as an identifying feature of 14th century armour, had many forms over the time it was in use. From the simple globular form of early versions meant to be worn beneath another helm to the full blown Hounskull of its last evolution, the bascinet was a favorite of soldier and noble alike for its slick glancing surfaces and its compact good looks. This riveted version is designed after several extant examples of munitions grade riveted barbutes from the 15th century on display in the Metropolitan Museum and Philadelphia Museum of Art. Lifting center pivot grill is standard. 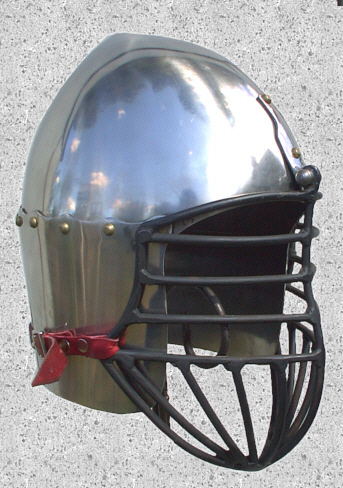 The only options available on this helmet is brass rivet construction (standard in Stainless Steel) and non-hinged, riveted grill.